Not long ago, vinyl collecting was a niche hobby enjoyed by analog-loving geeks (ourselves included), but things have changed. Vinyl has been enjoying a renaissance that, frankly, is surprising to see happening in the age of digital formats and streaming services. Between high-profile artists and indie groups re-embracing the format, and hugely popular events like Record Store Day giving mainstream audiences an excuse to enter the warm world of wax, vinyl’s popularity has risen enough that new record-pressing plants have cropped up to meet demand. That’s a big pivot from vinyl’s status just a few years ago. 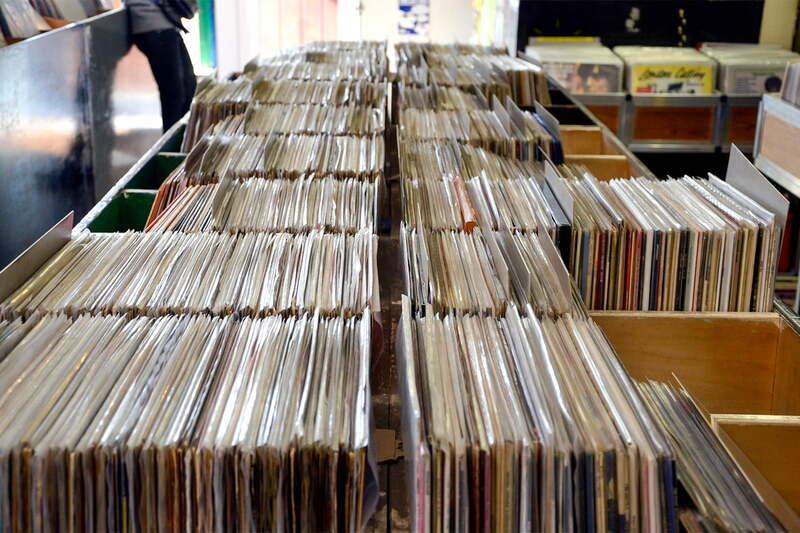 With that increase in popularity comes a new generation of budding vinyl collectors, but as with any hobby, there is a right way and a wrong way to do it. Don’t worry, building and properly maintaining a collection isn’t complicated, and it doesn’t have to be expensive, either. In fact, it can be downright cheap, but there are some things to keep in mind if you’re considering the analog audio lifestyle. Here is our top-to-bottom (er, front-to-back?) guide covering everything from how to buy and hook up a quality turntable, to proper vinyl cleaning and storage, right down to a few choice records we think should kick-start your new collection. Simple enough, right? This can be the best part of building a record collection. Every record store has its own vibe — it’s like stepping into another world — and the folks behind the counter can be treasure troves of valuable information and insight, as well as straight-up entertaining trivia. If they seem to dig your selections, try asking them what else they think you might like. You might just find a new favorite band or record. Music discovery is awesome. There is an art to selecting good records, and we don’t mean by title, but by the quality and condition of the vinyl itself. Don’t take the label up in the corner at face value — you don’t know how good that bearded Bohemian’s read on record quality is — look for yourself by taking the record out and visually inspecting it. Look past the dust for deep scratches or particularly long ones you can feel with your finger as you run it across the grooves. If you’re just not sure, ask to borrow a turntable and headphones to see if the copy is going to be clean enough for you. If not, try another copy, or look for that title elsewhere. If the record just looks dirty, you can ask the store to clean it for you. If they have a cleaning machine, they’ll often do it free of charge. Speaking of looking for different copies of your favorite records, be on the lookout for bootleg versions of records. They’re usually the really cheap ones, and they can be awesome or they can be terrible. You can sometimes tell by their lighter-than-normal weight, but you can also always ask at the counter. Typically, this simple rule will help you sniff out bootleg vinyl: If it seems too good to be true when it comes to a golden find, it’s probably not an original pressing. If it’s a quality bootleg (we own plenty), it can be a real steal, but you should always try to give it a listen for yourself if there is a listening station available. These days, you don’t have to go anywhere to find your favorite band’s vinyl. Though we still recommend checking out vinyl in person before purchasing, there are solid online resources for finding vinyl that is usually in excellent shape. For new vinyl, we recommend Amazon — the online giant has a surprisingly good selection at great prices, often with free shipping. For used records, check out Discogs. It’s an online record-selling, -cataloging, and -trading platform that can help you find some of the rarest gems on your list. Oh, and if you need a little help discovering record stores in you area that will be celebrating Record Store Day, we also recommend Vinyl Hub — “it’s like Discogs for record stores” the website exclaims, and it offers a great way to find a local shop. Finally, before you take off, be sure to check out these 10 awesome albums from last year’s Record Store Day. So you’ve just gotten your vinyl haul home, and you’re ready to light up your favorite speakers with the sweet analog sounds of that Van Morrison LP you’ve been seeking out for months. We’re excited too, but don’t just slip that slick disc out of its cover and drop the needle right away. Before you play them, you should always clean your records. You have no idea how well any used record was kept over its lifetime, and even brand new records have a residue left over from the pressing factory. You want none of this stuff touching your turntable’s stylus (needle). There are a number of ways to clean a record, some of them totally automated, others very hands on. To help you out, we put together this excellent guide on how to clean your records. Now that your collection is clean, they’re ready to play. If you already have a record-playing rig you love, then congratulations! But if you’re starting from scratch or looking to upgrade, you have some decisions to make. There are several different types of turntables out there, and many of them are now conveniently available in what used to be very unlikely places. The resurgence of vinyl is seeing turntables being sold at mega-stores like Target and Walmart. Those will do if you aren’t too serious about sound quality, but if you want to experience all the warmth and detail vinyl has to offer, you’ll want to make a small investment into something better. 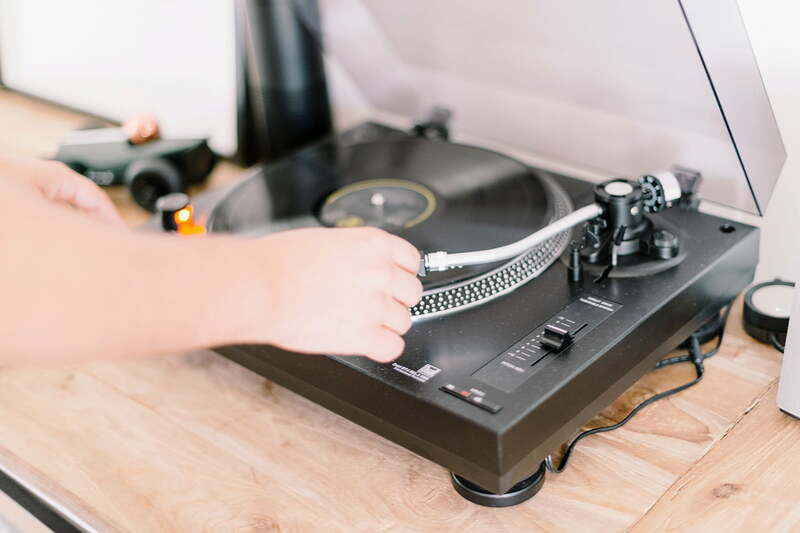 While you will find some decent affordable turntables at budget stores, we highly recommend staying away from the many all-in-one style turntables with built-in amplification and speakers. These will get you playing immediately with minimal effort. However, you’re limited by the weak amp and small speakers found in these products, and none of the parts are upgradeable — good in a pinch, or maybe a beach or mountain vacation cabin, but not a treat for your ears. For just a little bit more cash, you can get yourself a significantly superior turntable. In fact, we’ve assembled a list of our favorite affordable turntables right here, some of them in the $200 to $300 range, and outfitted with solid cartridges right out of the box. Keep in mind that if you do purchase a stand-alone turntable, you’ll need some amplification and speakers. We’ve put together a helpful list of some great vinyl listening setups for any budget, but read on if you’re in need of fleshing out a system you already own. If you already have an integrated amp or A/V receiver, see if it has a phono input, or that the record player you choose has a phono pre-amp built in. Newer stereo receivers like the excellent Yamaha R-N803 typically have phono inputs built-in, but if not, you can also buy excellent phono pre-amps as a stand-alone purchase, which can even improve your sound quality over a built-in phono port. Some turntables, like the Audio-Technica AT-LP120, also include USB outputs for archiving vinyl into digital audio files. If you don’t have an amp already, two options we’re particularly fond of are the PS Audio Sprout and the NAD D 3020. Not only are both of these amps compact and handsome, they also sound spectacular and have Bluetooth built in, bridging the gap between the digital and analog music ages. Both also have excellent headphone amplifiers packed in. With either one of these compact amplifiers, you could build a decor-friendly system that looks as good as it sounds. Note: While the PS Audio Sprout has a dedicated phono input with phone pre-amp stage for use with any turntable, the NAD D 3020 will require the use of a turntable with a built-in phono pre, or the addition of a stand-alone phono preamp from our list of favorites. If you’re looking for an absolutely gorgeous living room setup but don’t want the fuss of piecing together individual components (and have an extremely flexible budget), you may be interested in all-in-one consoles like the stunning Luno EGB2. If not, they’re still just a blast to look at. How you store your records isn’t just important for preservation, it’s an opportunity to build something that looks really, really cool. First, we have to address what has somehow become the most popular vinyl storage method in the United States: Milk crates. Look, milk crates come cheap (free, even!) and they happen to be the right size. But milk crates are a sub-par record storage method for a number of reasons, including sharp edges that like to tear up sleeves, and the tendency to flex under a heavy load, potentially warping records. For home storage, any number of shelving options will work, but one of the most popular options comes from our Swedish friends at Ikea: The Kallax Shelving Unit. While the Kallax isn’t as robustly built as its Expedit ancestor (no longer available), with care this solution should last for many years. Plus, they’re the perfect size and modular, so you can put one in a little nook, or build an entire wall full of wax. For something fancier, check out these stylish vinyl storage solutions assembled by Vinyl Me, Please. For portable vinyl storage, we like what’s coming from the folks at Wax Stacks, whose compact wooden crates are designed specifically for carrying vinyl anywhere, as well as stackable storage at home. Those looking for something with a closed lid will dig this case from Crosley. Also, don’t forget that anti-static sleeves are imperative for keeping your records from building up damaging static electricity. These sleeves from Mobile Fidelity are outstanding. 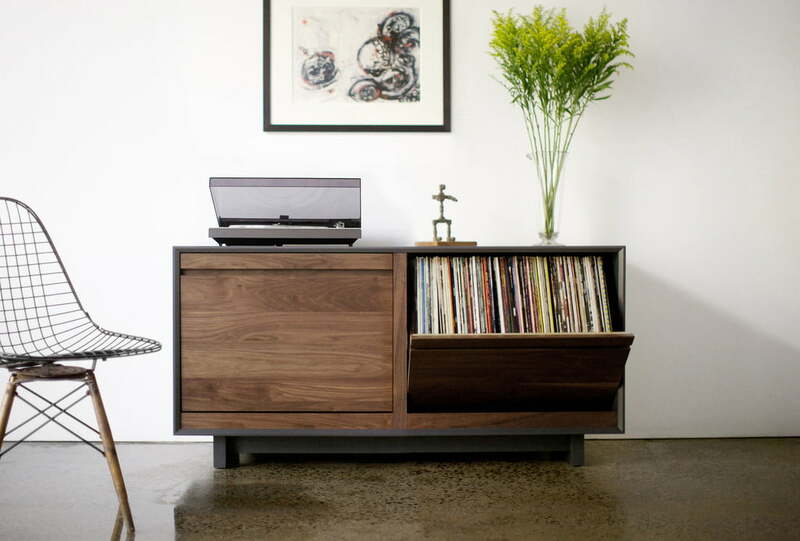 Finally, always store your vinyl in a climate-controlled environment, well away from any heat sources. Definitely don’t leave your vinyl in a car … like, ever. In case you weren’t aware, headphones are an awesome way to experience vinyl. The intimate listening setup brings you closer to the details and dynamics records have to offer (and, yes, to potential pops and clicks, but that’s part and parcel). Next time you want to really check out a record, bust out a killer pair of headphones and dig in. If you’re itching for an upgrade, replace the cartridge on your turntable with something a little more advanced. Many of the cartridges on our recommended list are a great place to start, but a premium cartridge from Grado, Audio-Technica, Ortofon, or Shure, just to name a few, will make a significant difference in the sound quality you get. Finally, if you want to get really serious, consider having a professional set up your turntable for you. A turntable setup involves setting the tracking force exactly, calibrating the tonearm’s position and counterbalance, and adjusting the turntable’s speed, as well as making sure everything is level. Of course, if you’re up for it, you can get your own tools and do it yourself! Now get out there, get some records, and get listening!